Hello friend, By dusk coming home from enjoying coffee, I passed the Peunayong Bridge. The Peunayong Bridge is located in the middle of the city that connects two villages in my city. It is also a bridge that is congested with traffic. 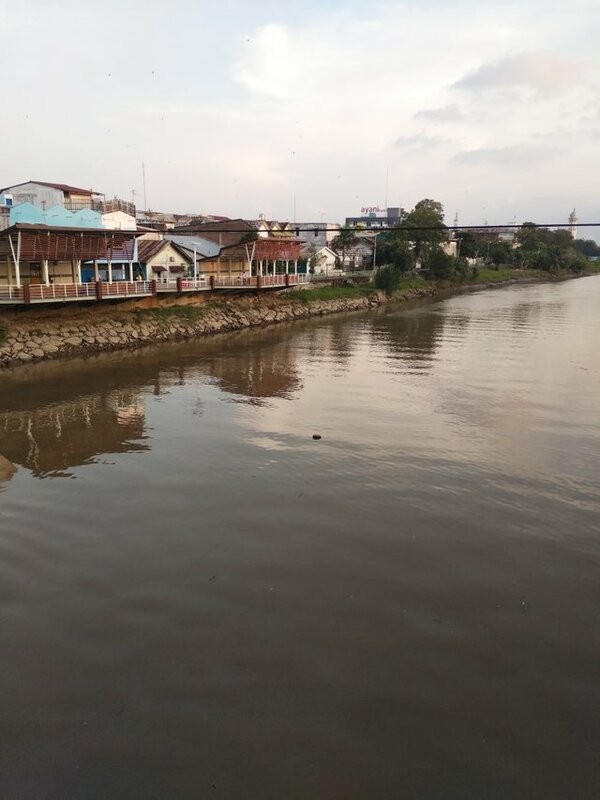 The Peunayong Bridge has a fairly wide river, where river water directly leads to the open sea estuary. 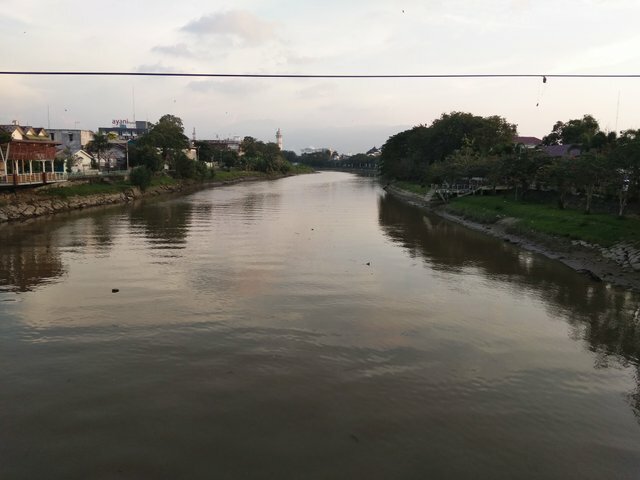 I stopped by for a while at the Peunayong Bridge to see the atmosphere there. Even though the atmosphere was nearing dusk but still bright. The atmosphere that I could so saw was the flowing river water. Likewise when I move to the side of the bridge. 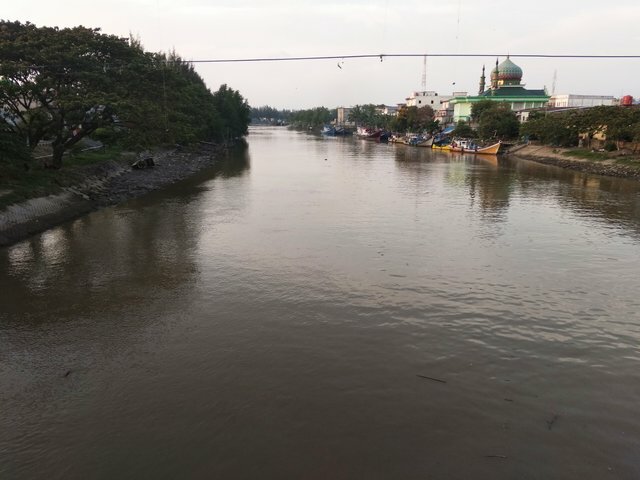 Rarely do I see this atmosphere on the Peunayong Bridge, usually I just pass by. Activities on the Peunayong River have also stopped, many fishermen have returned. Only a peaceful atmosphere is visible. 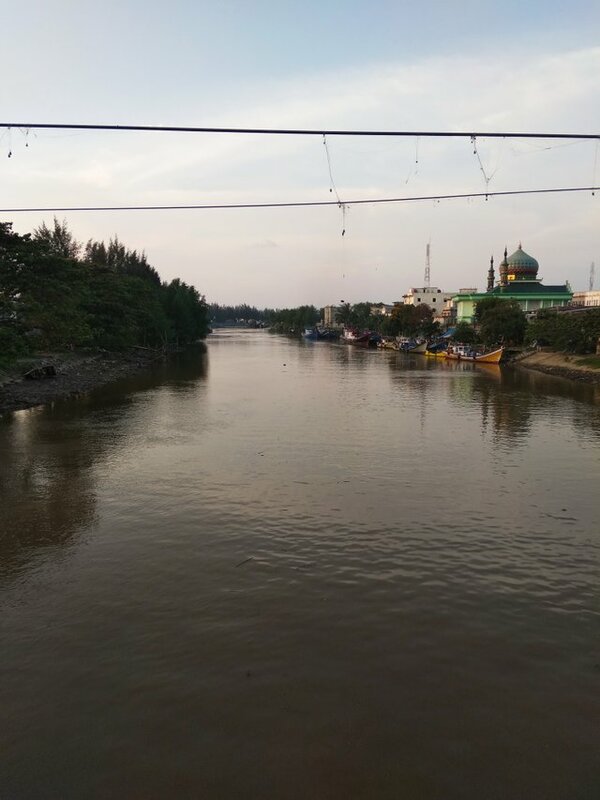 Here are some photos that I took from the Peunayong Bridge. Hopefully you like it. This post has received a 22.4 % upvote from @boomerang.